Chiaotzu looks like he can fit on Nappa's back. 10/10. What is up with the stupid Dragonball characters in the background, I'm trying to admire this amazing watermark! Anyhow, they really gave these guys some cool accessories, I'm impressed! That's a nice bonus which makes me believe the long wait wasn't a complete waste. I hope you can at least move Chiaotzu's arms and legs down, but it is nice that they are including him with Tenshinhan since he is a vital sidekick. 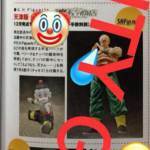 Chiaotzu and Saibaman, who are they? Ummmmmm... You're kidding, right? 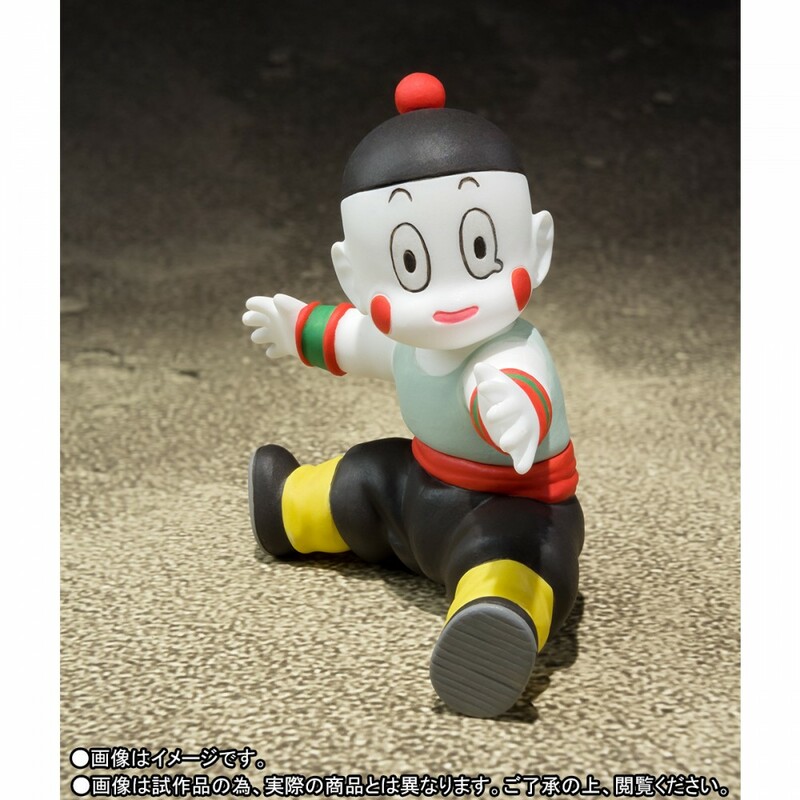 Chiaotzu is only one of the main characters to DB. nevermind, I wasn't paying attention. haha, good one. Not at all, its the opposite actually, the strong point in my collection is the variety. 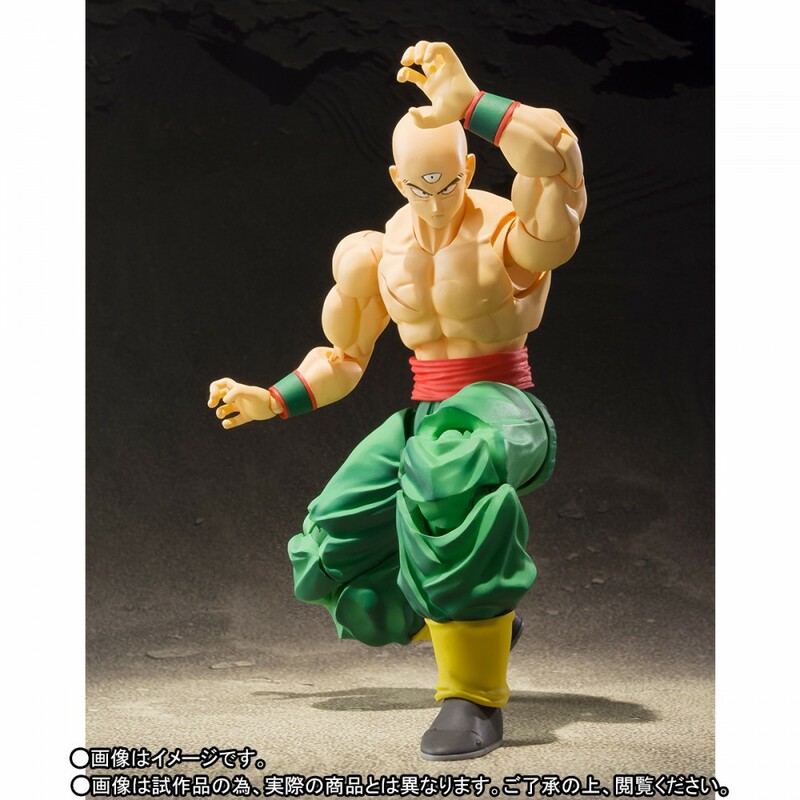 Official pics and the order page for Yamcha are up, he's a Web-Exclusive release in November for 6480�. It seems like the Saibaman has at least a minimum of articulation with swivels for the arms. Yamcha is another web exclusive... Damn! It's getting tiresome. Why is Tamashii releasing so much Web Exclusives lately? There's a way for us to purchase it without having to wait it to hit e-bay? Well the DBZ stuff will be released in the US by Bluefin, so it doesn't matter. Also, Bandai now has an American site you can buy the webshop stuff from. I have a question, when these figures say web exclusives. That means its a limited edition figure? Harder to get and doubles in price on ebay? I'm asking because I usually wait until they are on amazon and lower in price. Web exclusive only in Japan. They will be a normal release in the US. Well, that's still a problem for me, tho. I don't live in the US. I live in Brazil and I have to import all that stuff. Maybe I can get it from the America Tamashi Site? Would you know? The U.S. Tamashii Web hasn't listed any Dragon Ball figures as of yet. Their selection is very limited. This is so close to perfect. It looks like a very accurate recreation and I am beyond glad that it's being released. Just a few things I want to say, and I hope this isn't viewed as a complaint, this is more about expressing slight disappointment...this is close to perfect. This is a 9.8/10, and it could have easily have been a 10/10 if they had included the short hair part. I really don't see them releasing another Yamcha and they could have offered up two different versions at once with the short hair included...and a shocked/pained expression face would have also been great. I wish they would start including a lot of faces again. Love that they're stepping up manufacturing on new figures. Hopefully they can keep releasing a figure every month for the near future. Like to see a few movie villains get some attention though. 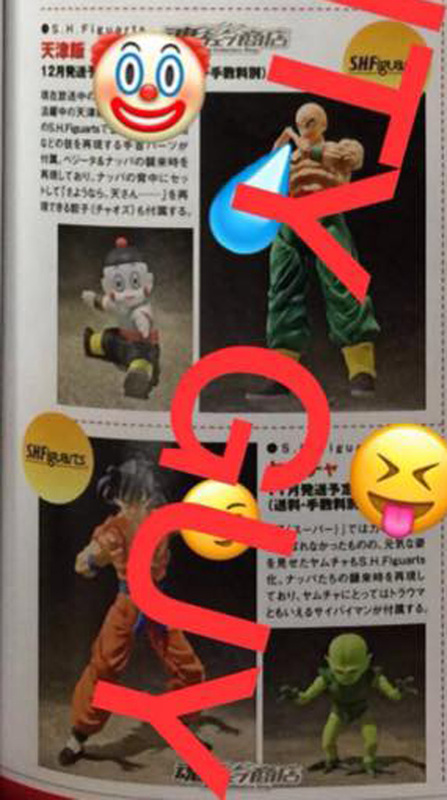 Full Thread: Chiaotzu and Saibaman Incoming!